Originally from Clinton, NC, Tammy has served as your Director of Durham County Library for the past seven years. She is married to her high school sweetheart, Parenza, who is also from Clinton, NC. Together they enjoy spending time with their families and friends, as well as their two horses. Tammy provides motivational speeches to groups concerning career growth, team building and goal setting and is a member of the Downtown Rotary Club of Durham. She is a member of the American Library Association (ALA), the Black Caucus of the American Library Association (BCALA) and the North Carolina Library Association (NCLA). 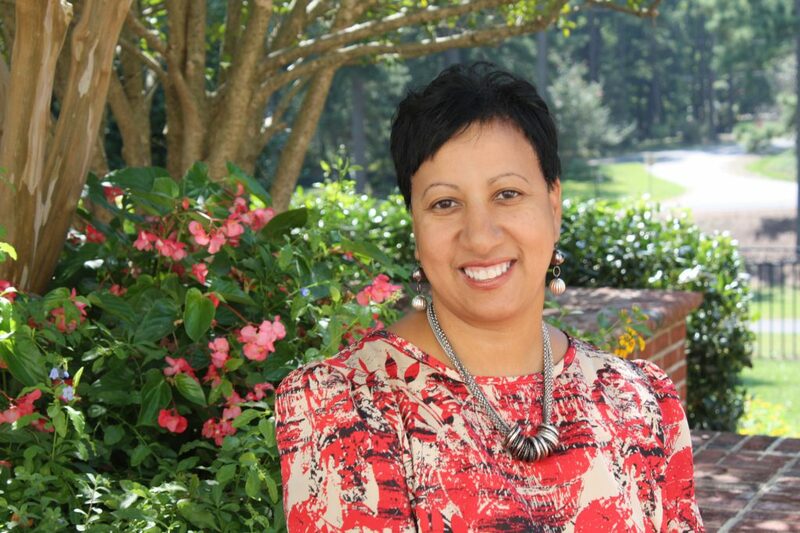 She is immediate past President of the North Carolina Public Library Directors Association (NCPLDA). Tammy also serves on a number of boards in her community and is a member of the County Manager’s Executive Leadership Team. She is in her fifth year as a monthly presenter for the Durham County Leadership Academy. She is passionate about delivering quality library services in Durham County where her team places a high emphasis on improving literacy in Durham and offering programs that enhance digital inclusion as it relates to Science, Technology, Engineering, Arts and Math (S.T.E.A.M). Tammy believes that leadership is doing what is right when no one is watching. It’s her goal to give back to the profession by mentoring others. She is dedicated to helping youth capture a love of reading at an early age. It’s her philosophy that we should all work together to make the world a better place; and what better way to start than the power of reading for pleasure and knowledge.